Uchi was established in 2006 in Dongguan, China. After years of development, Uchi has become a large scale hi-tech enterprise that specializes in development and production of complete series of MOV,PTC, NTC series, PPTC series, Fuse(ALL TYPE),Resistor、integrated circuit 、 Capacitor, surge protector and protective devices of lightning protection products. It ranks front in the industry and has heartquarter in Hong Kong. With its excellent technology and quality products, Uchi haswon wide recognition of overseas customers. Saini Impex PVT.LTD is our authorized sole distributor in india . Uchi boasts with a production base that covers an area of nearly 15000 square meters. We successively imported high-tech fully automated production equipments and high precision testing instruments and have put into production to realize the automation, large scale and standardization. Uchi has a galaxy of hi-tech talent teams headed up by national class experts to engage in the work of product development, product quality control, sales andservice technical support, etc., and has successively obtained tens of certificates of appearance patents, utility patents and inventions. 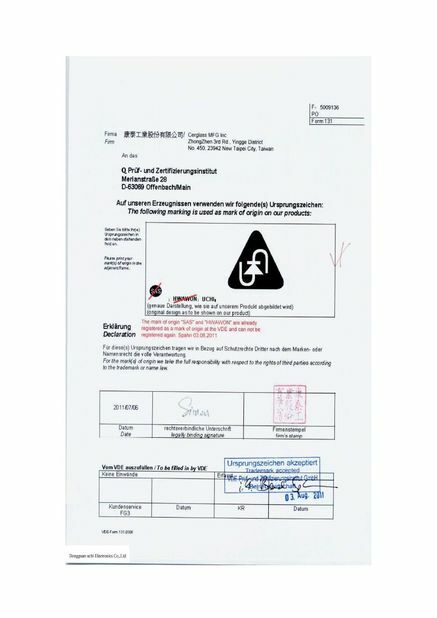 To guarantee the quality, we successfully passed the certification of ISO9001:2008 quality management system, scientific and efficient managing mode to carry out lean production and form scientific and efficient quality control system. The products are certified with UL, CUL, TUV, VDE, CSA and SGS, RACH 73 environmentally friendly testing certifications. Our products are widely used in home appliance, medical equipment, office equipment, communication equipment, phone battery, electronic calendar, electronic thermometer and temperature controller to cover military telecommunications, IT, automobile and consumer electronic fields. Cooperation with good faiths to win in the market. Excellent quality sincere service is the key to the success of Uchi. In the future Uchi will still stick to the tenets of "Quality first, customer foremost." "First class quality, first class service and customersatisfaction" to manufacture the high quality, technically advanced and reasonable prices products. We hope to trigger with global partners the revolution in resistor products. We cordially welcome friends from home and abroad to visit us for guidance and cooperation. Established in 2006 successively imported high-tech fully automated production equipments and high precision testing instruments and have put into production to realize the automation, large scale and standardization. 2009.8 Honor to get our own independent brand "UCHI"
2009.10 Honor to start to do business on alibaba.com and to be alibaba ExportPass member (have the right to export and import).Meanwhile, we are honor to get "Guangdong Star Enterprise" from alibaba.com. 2010.11 To ensure quality to our customers ,we passed ISO9001 2008 Quality management system . 2010.12. 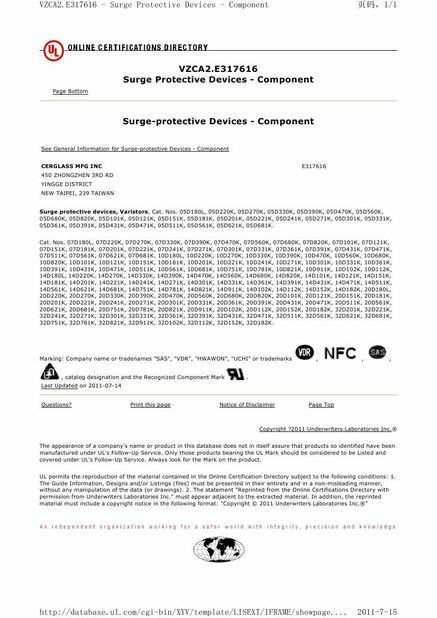 To strenthen quality , we passed UL,SGS,REACH,VDE,ROHS,etc international approvals. In the future Uchi will still stick to the tenets of “Quality first, customer foremost.” “First class quality, first class service and customer satisfaction” to manufacture the high quality, technically advanced and reasonable prices products. We hope to trigger with global partners the revolution in resistor products. We cordially welcome friends from home and abroad to visit us for guidance and cooperation. Product(varistor,thermistor,fuse,capacitor,resistor,temperature sensor,headphone etc.) production and sales; Related product assort;one-stop purchasing; help arrange export and shipment;after-sales services;product exchange if quality problem; help provide necessary documents.etc. We have a team but own different responsibilities to be finished. We have ministry of finance ,in charge of Accounting practice, tax planning, budget, cost control, audit, merger, acquisition and reorganization; HR Department function: planning, recruitment, training, performance appraisal, salary. Culture. Administration; Marketing department function: brand channels. The salesman. Pr. Customers. New marketing; Production department Function: technology development. The production process. Procurement. Quality supervision. The supply chain; Information department Function: advertising design. Product packaging. Enterprise information. Enterprise e. Project management. Electronic commerce. We are a big family and only we work together, our aim-customer’s Satisfaction could be come ture !